In the Disc drive industry it's really hard to stand out. Most people just pick the cheapest drive with the specs that they are looking for. This may work for some people but anyone who has lived with the cheap drives should know that they can sometimes be noisy and unreliable. One company that has made a reputation of quality in the disc drive market over many years is Plextor. I've seen people throw down two and sometimes three times the price of a cheap drive just to be able to have a Plextor drive. 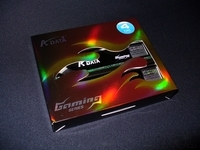 The reason for this is all about quality and noise, for those same reasons I was excited to hear that I was going to be able to check out their new PX-B310SA BD Combo Super Multi Drive. My excitement doubled when I realized I would be able to watch The Dark Knight and other Blu Ray movies in 1080p on our 52-inch television. So today I'm going to find out if the PX-B310SA is a quality drive that's quite enough to include in your HTPC without sounding like a weed eater running. High-end PC gaming can be considered a niche market without too much of a stretch. Its expensive and doesn't always translate well in the price to performance ratio department. Home theater PCs, on the other hand, are a niche within a niche, due largely to the pain and expense necessary to maintain a separate computer simply to watch television. Furthermore, you can't use just any hardware in an htpc. If you want one that can decode high-def movies and television or even lightly game you can't just slap the oldest stuff you have lying around the house into a case - the tech has to be somewhat competent. Antec has recently come out with the Veris product line to help blur these lines a bit. 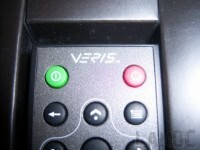 Whether you're looking to turn your main rig into a pseudo-htpc, or trying to spice up an already assembled home theater solution, read on for our experience with the Veris Basic.